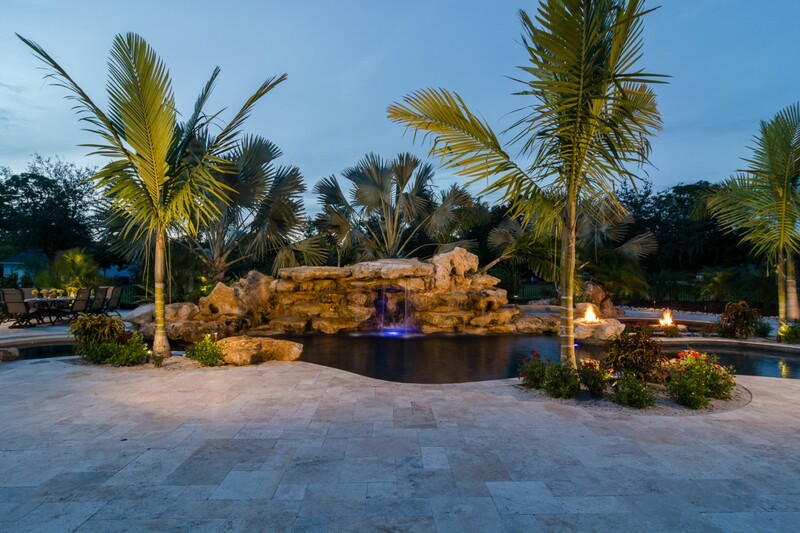 Watch a video with Lucas Congdon of Lucas Lagoons visiting this natural lagoon pool in Nokomis while he explains the various pool features and beautiful natural rock waterfalls, natural pool grotto and stone spa. 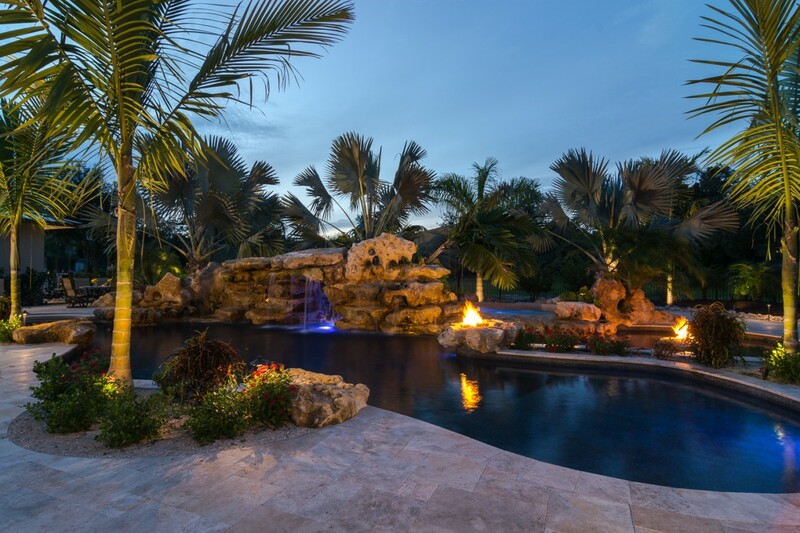 A monumental limestone natural lagoon pool, complete with outdoor kitchen, bar and dining is perfect for entertaining. 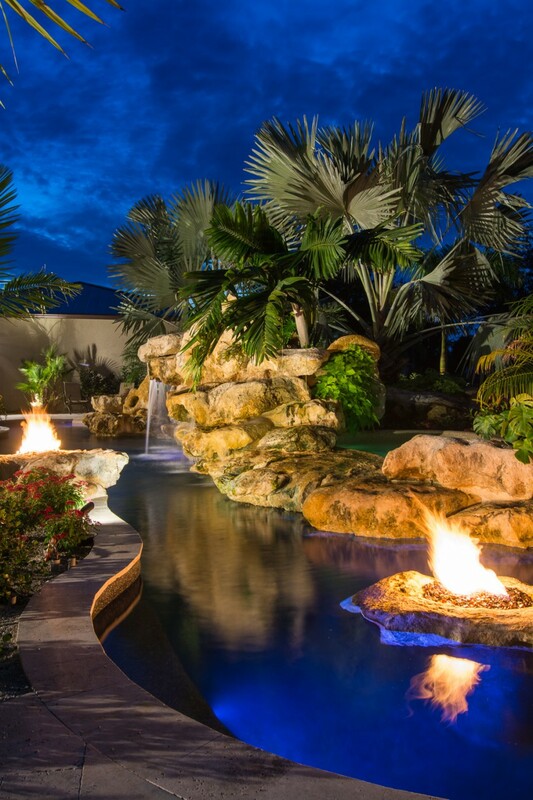 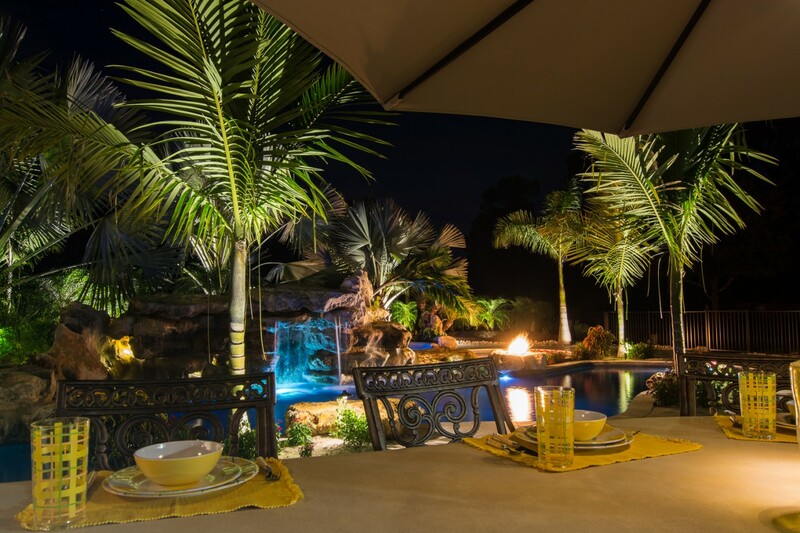 Dual fire pits, gracious natural pool seating, bubbling spa, large sun shelf and centerpiece rock waterfall grotto create intimate spaces for all. 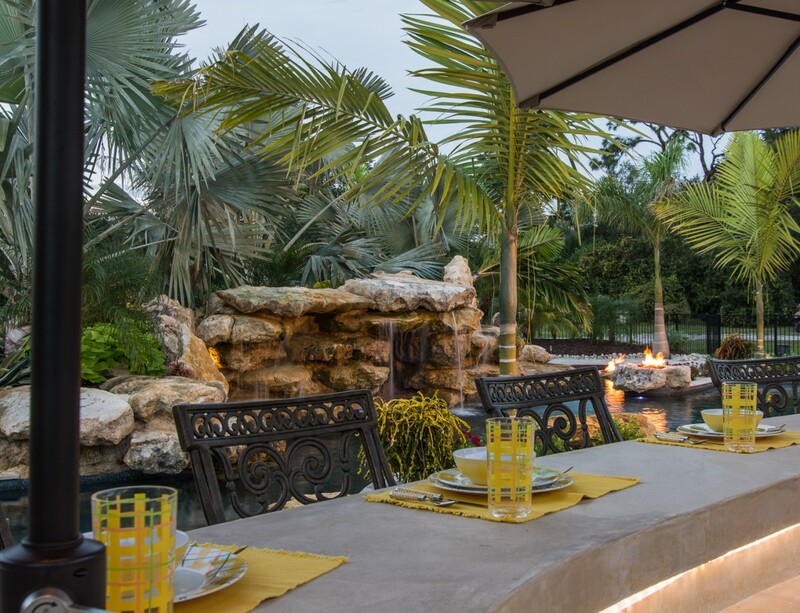 The massive travertine deck allows for large gatherings, or space to enjoy the sun! 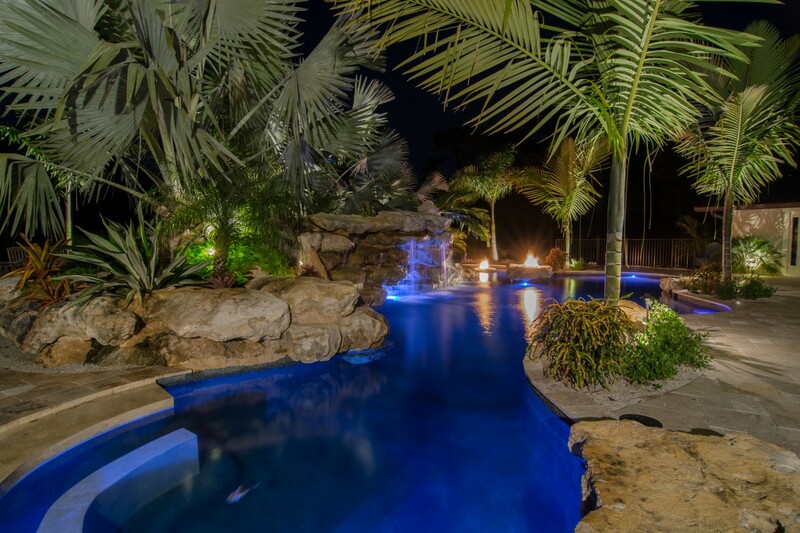 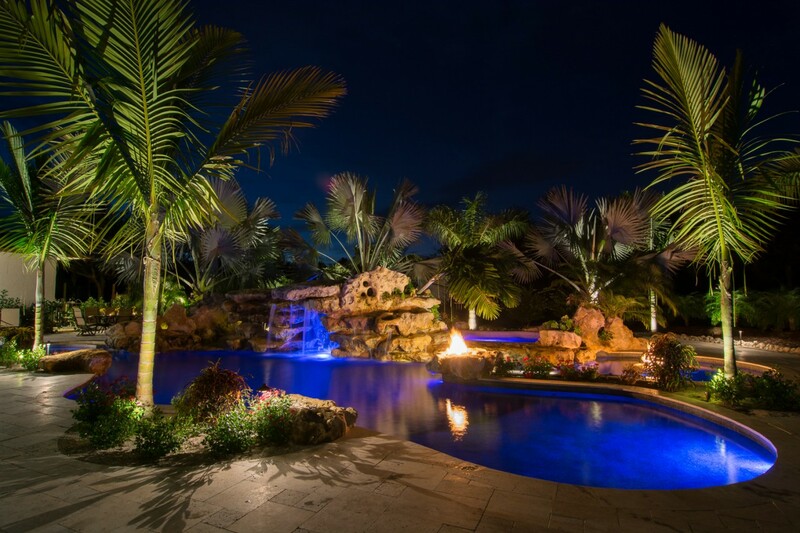 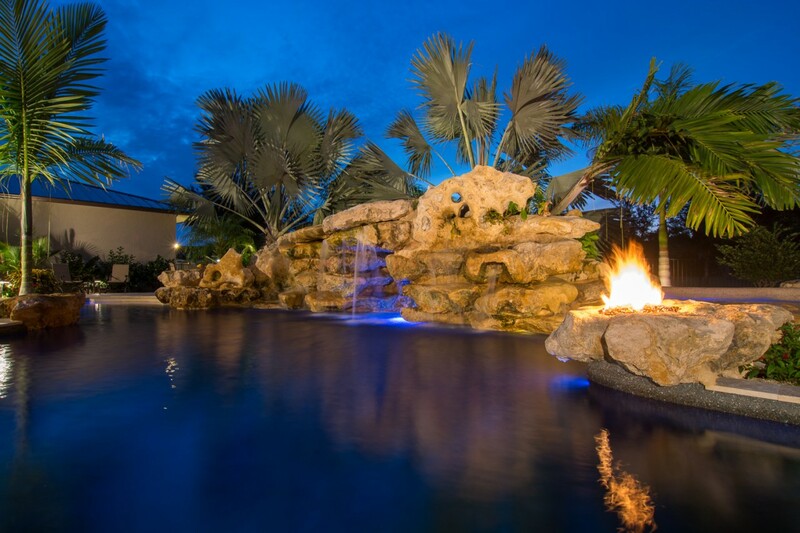 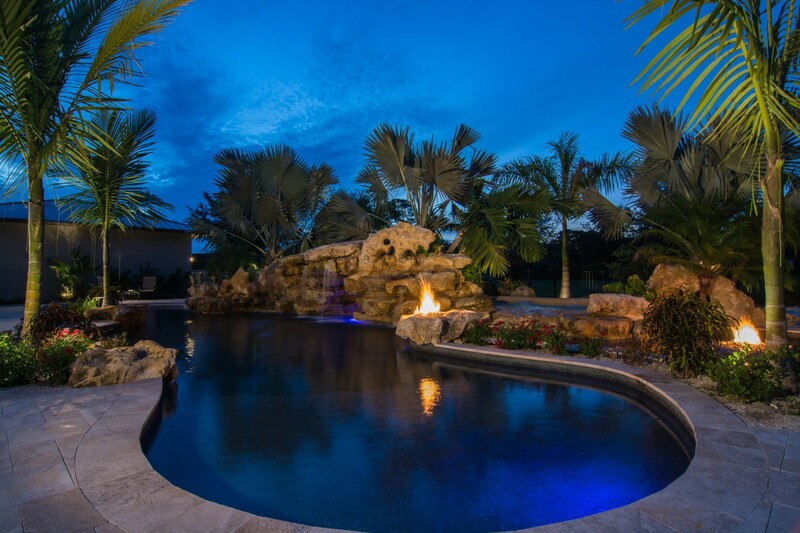 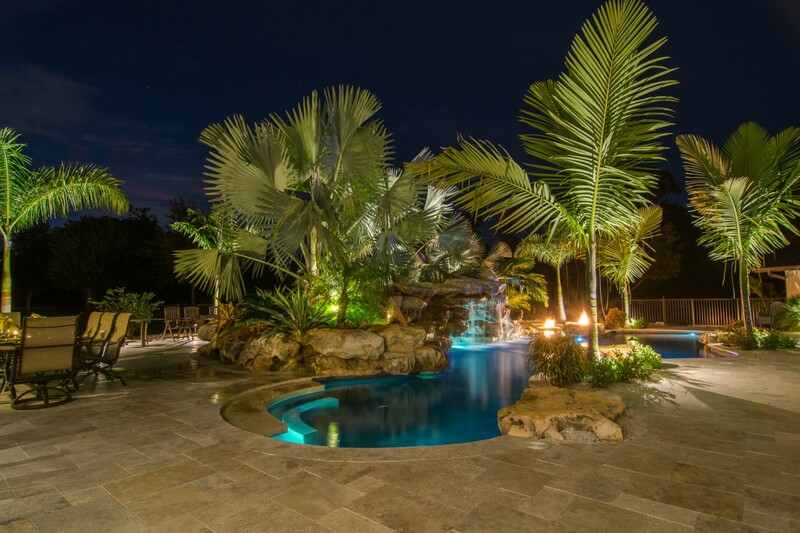 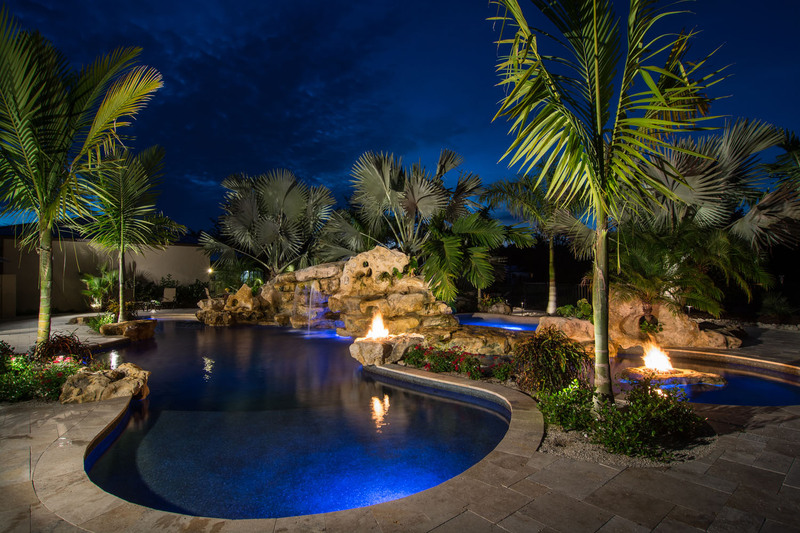 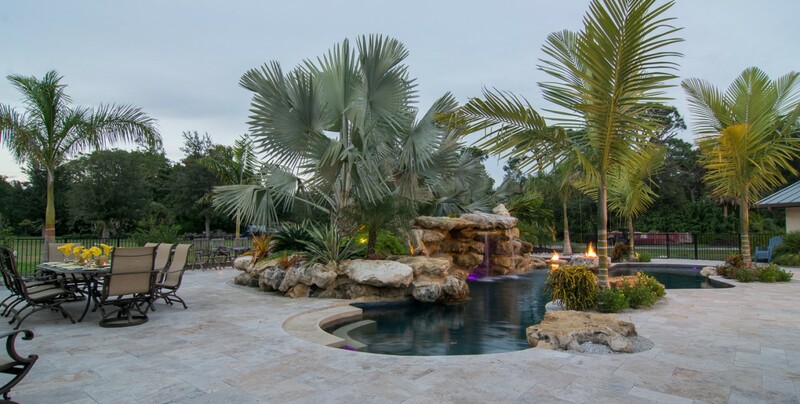 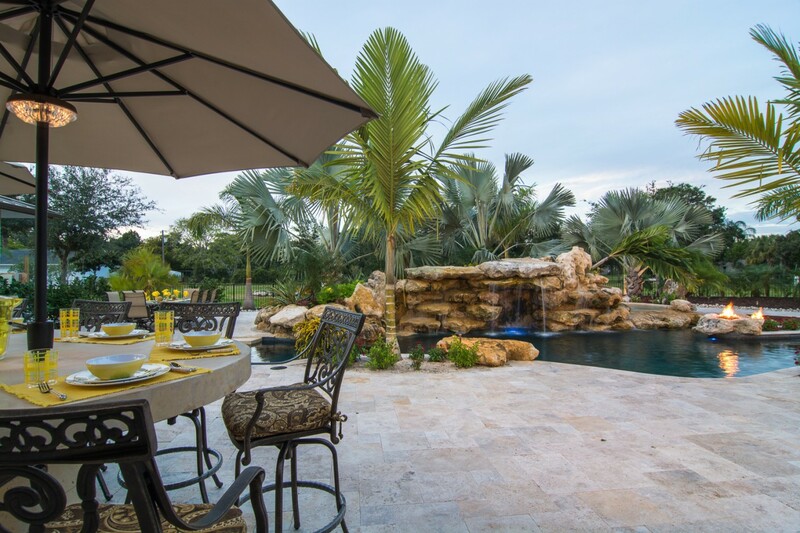 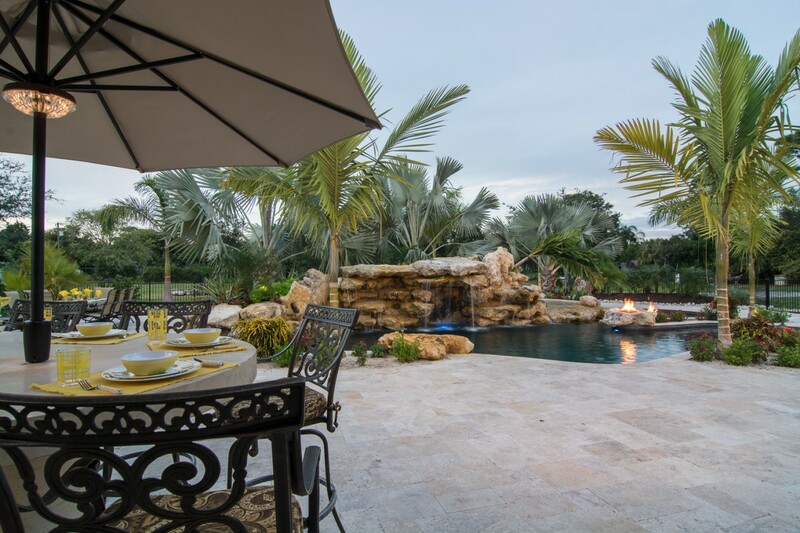 A remodeled pool by Lucas Lagoons in Nokomis, Florida with natural rock lagoon pool, amazing rock waterfalls pouring into natural stone pools with a large stone grotto. 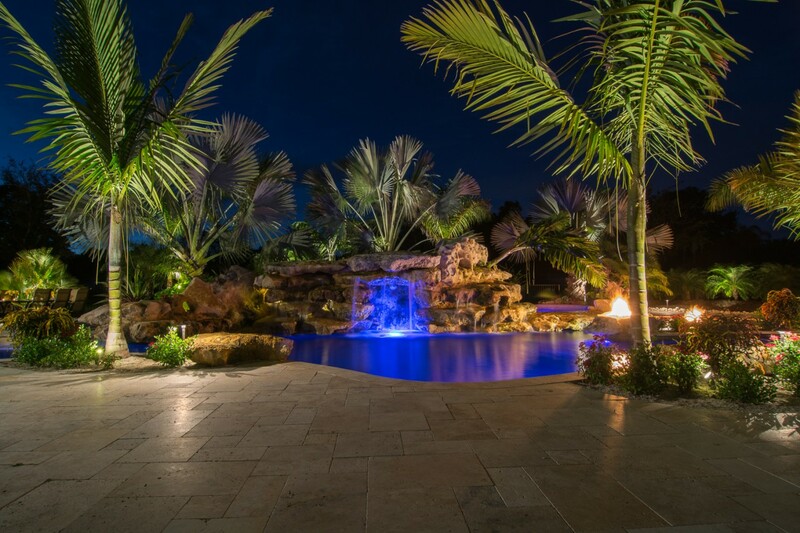 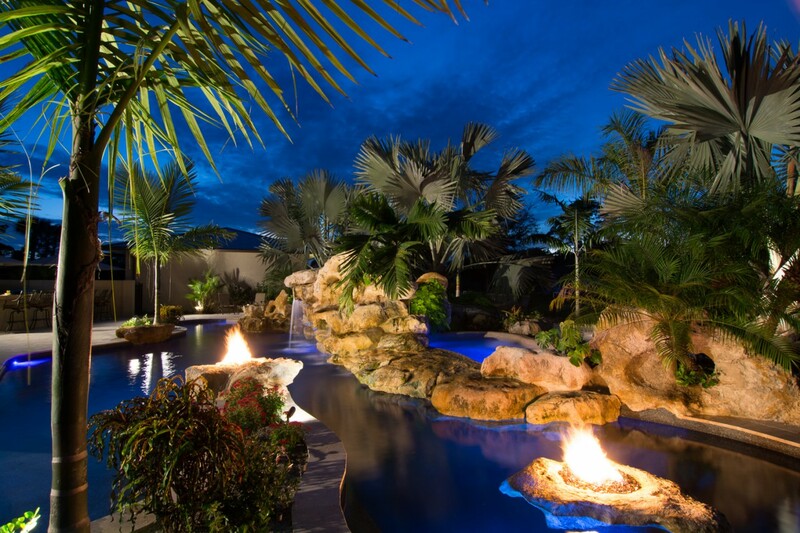 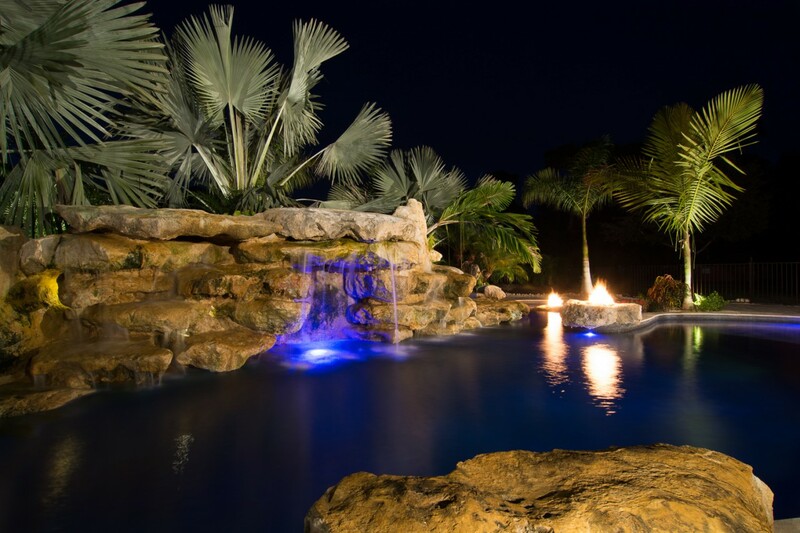 See more amazing pool designs with natural limestone waterfalls in Caribbean Cove pools, including one of our first lagoon pools and another one of our best natural pools featured on Insane Pools: Off the deep end.